On this 2013 Alaskan tour we stayed in the Inside Passage. Good weather graced most of our train ride and all of the fishing adventure, but our Glacier flight once again suffered from rain. We still had a lot of fun and will always enjoy going back. 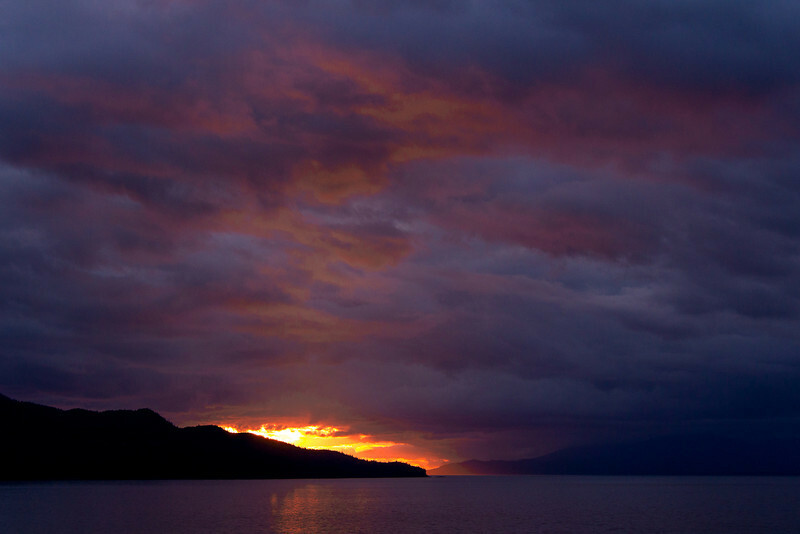 Sunset on the Inside Passage.